China has a reputation for counterfeiting, including booze. Make sure your customers aren’t exposed. By David Friesen. 1 Recognise there’s a problem. 2 Realise telling real from fake isn’t easy. 3 So be ruthless. Only use official suppliers. 4 If a deal is too good to be true, it probably is. 5 Don’t think parallels are innocent cost-cutting. Parallel imports are grey market product that has not been brought into the country via its official importer or distributor. 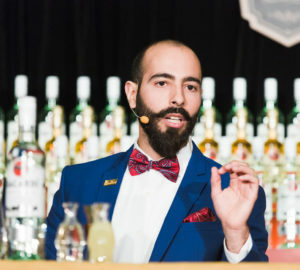 They may seem like a great deal on price, but don’t take the risk: you are putting the reputation of your bar on the line. “We don’t discount and some distributors here don’t like that. But making sure the product is genuine and legal here is more important,” says Daniel Taytslin, co-founder of spirits importer Gotham East. Andrew Cottingham, from spirit brand managers Cottingham Enterprises in Shanghai, with brands including Scotch whisky Glenfarclas, agrees: “The problem with parallel is I don’t know where it’s from – it could be , Paraguay. Or it could be a refill.” If the product is real, you might think it won’t hurt, but how do you know? Uncertainty equals risk. Plus, that volume steals revenue away from the marketing budgets that promote brands, educate consumers and ultimately expand the market for everyone. 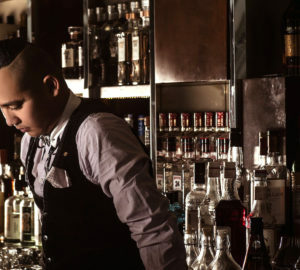 Owning your bar’s quality control is critical, and should be at the top of the list for any manager. “Fraud is usually internal, through purchasing or receiving, store managers or even bartenders. That’s why as the manager or bar owner you should take ownership and check yourself,” says the anonymous insider. 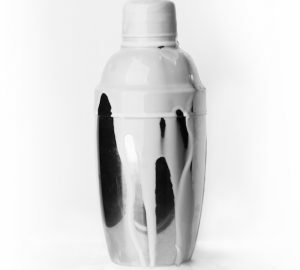 “If you are an owner and find a refill or suspicious product, don’t just immediately broadcast it to everyone. Someone or something has created the problem and you need to get to the bottom of that to stop it.” Have one person in charge that you trust and don’t compromise. Pain in the arse? Yes. But check every item. This further limits the likelihood of letting fakes through. “We’ve gone through every bottle we own to determine its level of risk,” says the insider. This level of quality control is also important for distributors. “We like to go around at least every couple of months to taste the products and talk to bartenders who use our products to check everything is fine,” says Cottingham. Both Williams and Bermel agree: “Review every bottle that comes into your venue: do the labels and back label look the same? Is the bottle sealed properly? Whenever you open a new bottle, smell and taste it. Your reputation is on the line,” says Williams. “Honestly, this should be a top priority for any bar, whether casual or high end,” says Bermel. 9 …and embrace their new tech. The biggest brands may have the biggest problems, but their budgets have led to equally large advances in anti-counterfeit technology, including QR codes and smart bottles. “Labels and capsules are far easier to copy, but bottles are extraordinarily hard to counterfeit. 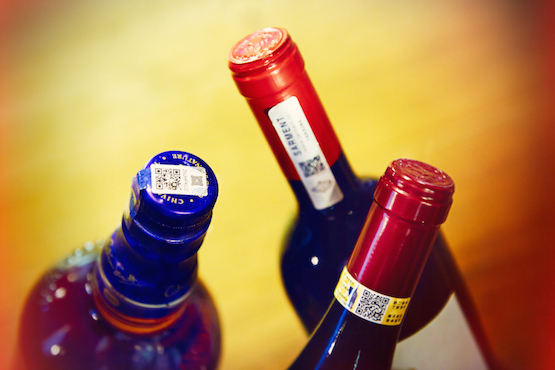 Next time you pick up a wine bottle, upturn it and look at all the inscriptions and pimple-like dotcodes – they are all there for ISO9000 traceability. These inscriptions tell us more than any label, or the content inside,” says Bartman. Such traceability is even finding its way into smaller brands, says Taytslin: “G’Vine gin, one of the brands we import, has one of the most advanced bottling plants in the world. They laser engrave a unique number on each bottle, so they know where in the market the products should be.” The spirit heavyweights are taking this a step further. Pernod Ricard uses a QR code system on almost all its products, including spirits, champagne and sparkling wine, allowing operators to scan the code to check the bottle is both authentic and new. Remy Martin, similarly, has introduced the new “Connected” bottle, using near field communication technology (NFC). Based on mobile payment authentication technology, and launched first in China, it allows for instant verification of bottles through a mobile phone app. “By simply tapping the top of the bottle, the previously downloaded Remy Martin app will instantly show if the bottle is genuine and sealed, or if it has been resealed,” explains Joshua Wu, PR manager at Remy Cointreau China. “It provides the same level of security found in electronic passports or bankcards.” However, some are sceptical whether this new tech is viable across the board. “The sophisticated devices attached to bottles can cost up to ¥10 a bottle, which multiplies substantially by the time the product reaches the market. While the top alcohol brands maybe can absorb this cost, for 99 per cent of the remaining market only a vastly cheaper device can be employed – and, so far, I’ve not found one that can’t be counterfeited,” says Bartman. 10 Finally: deface and destroy.